A company director is helping to debunk the myths around health and safety with the production of an easy to follow training manual. 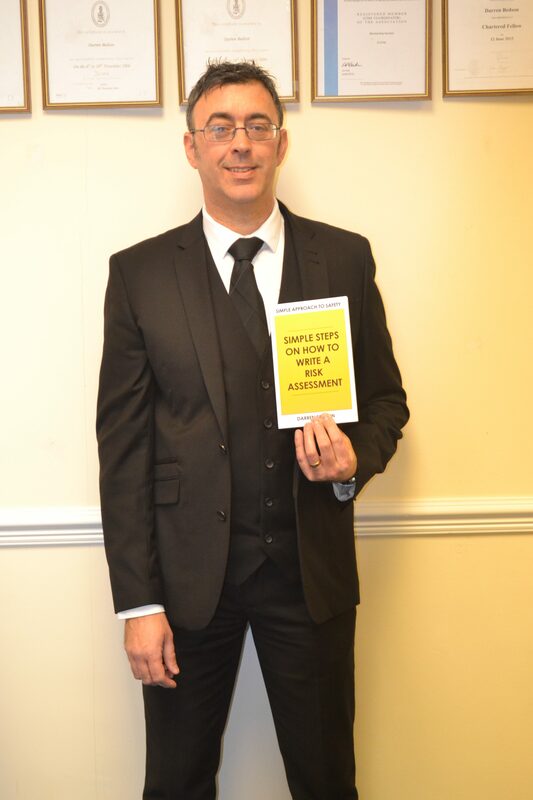 Health and Safety expert Darren Bedson, of Stoke-based BPA Services Ltd., has turned author to write and publish Simple Steps on How to Write a Risk Assessment which is available on Amazon in both paper back and Kindle editions. “We have all heard the jokes about ‘health and safety gone mad’ and listened to grumbles of how people are jumping through hoops because of regulation, but this is largely untrue,” said Darren. Darren is among an elite group in the industry to be recognised as a Chartered Fellow of IOSH (the Institution of Occupational Safety and Health).